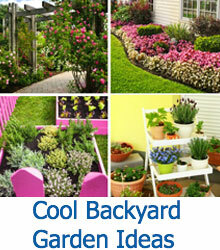 Looking for some fun different ways to display plants in your garden? 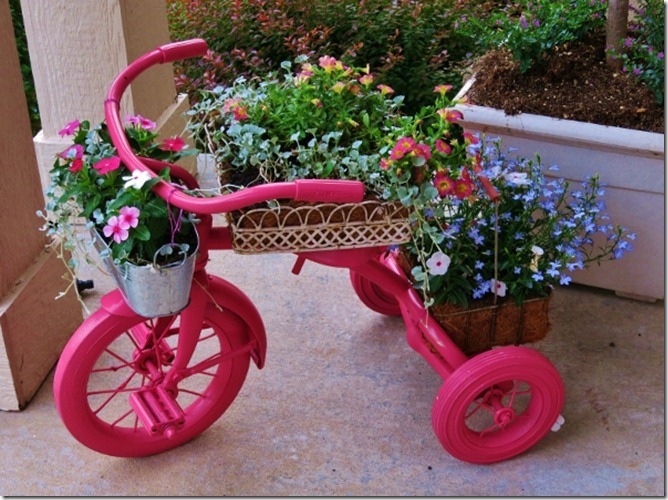 Check out these neat Tricycle Planter Ideas which will capture people's attention. If you’re a regular reader, you know about our undying affection for quirky, unique, and upcycled planter ideas. We get pretty excited about the process of turning old, strange objects into original container gardens. There’s often nothing more satisfying than turning an unused antique into a work of art that also happens to house your plants. 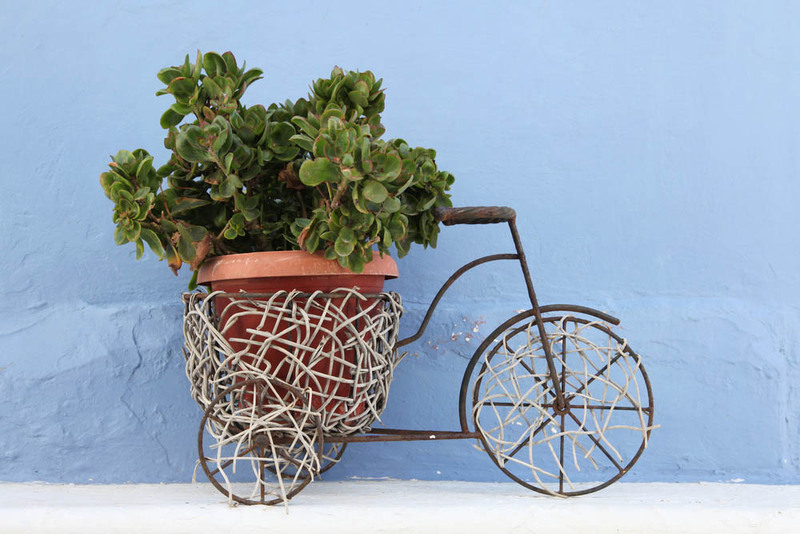 We’ve covered ideas for quirky indoor planters and hanging planters and even mailbox gardens, but here we’re looking at possibly our favorite yet: tricycle planters! 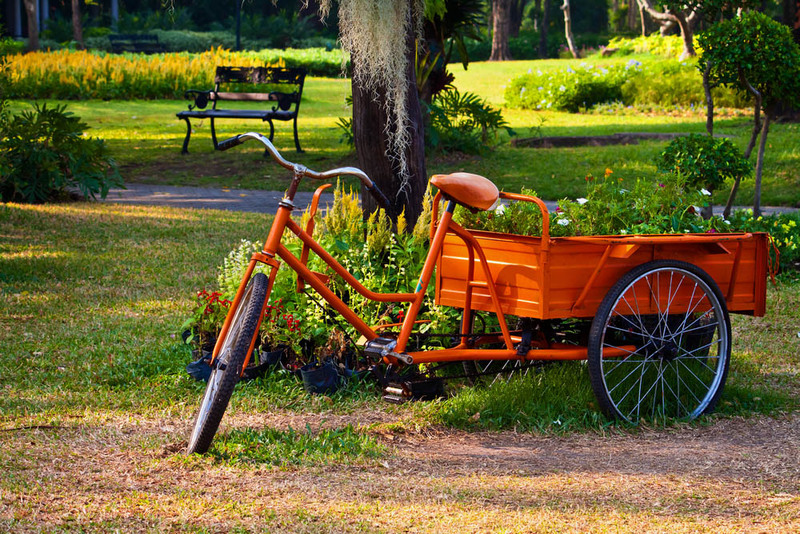 The idea of converting old, unused, but beautiful tricycles to house or favorite plants is an exciting one. Even better, it’s a relatively unique practice that will truly stand out to friends and family. 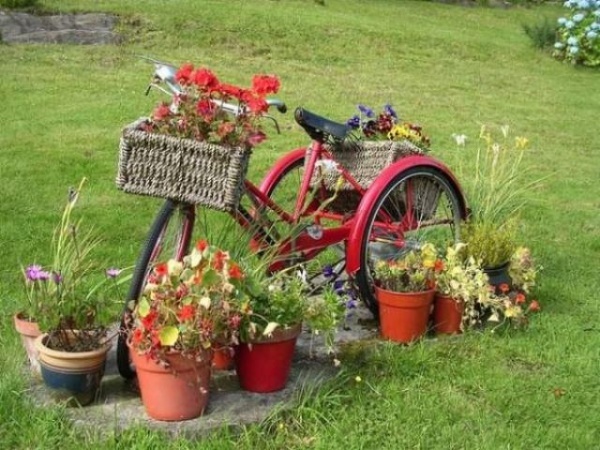 While upcycling and restoring old tricycles is our preferred way of achieving this handsome garden look, we won’t hold it against you for buying a purpose-built tricycle sculpture from your local gardening or landscaping shop. 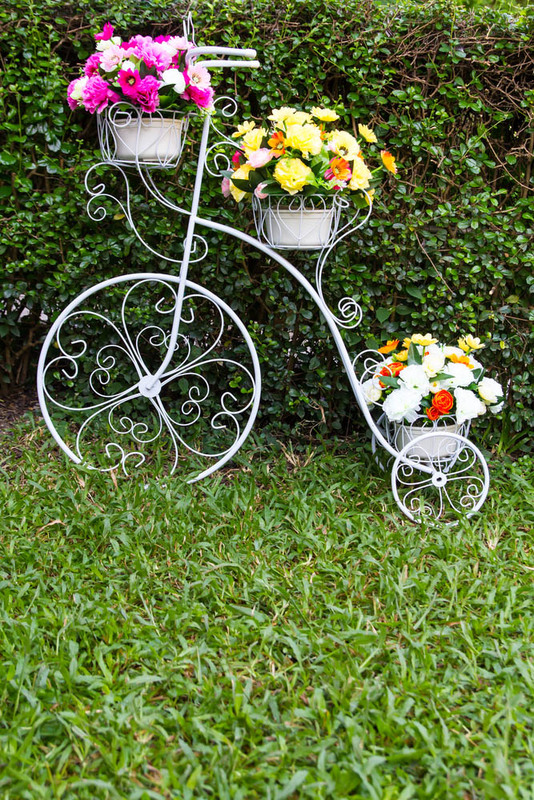 These capture the shape and essence of the traditional tricycle without any of the necessary restoration work, giving you a fun and rustic centerpiece for your garden. Either way you go about it, we hope you feel inspired by these fantastic, fun ideas. 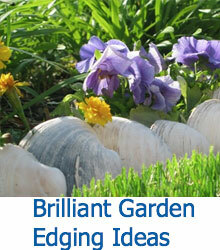 There’s so much more to gardening, always over the next horizon. We’re excited to see what rolls up next. We love the adorable way this project utilizes the built-in baskets of the Radio Flyer tricycle to make a fun and fresh look. Instead of an old, restored tricycle, it utilizes a bright new one, but if you’re going for this specific look or you don’t have access to something more used, it’s perfect. Fill the baskets with your own smaller container gardens or plant directly in them. For our second example, we’re kind of cheating. Please don’t tell! 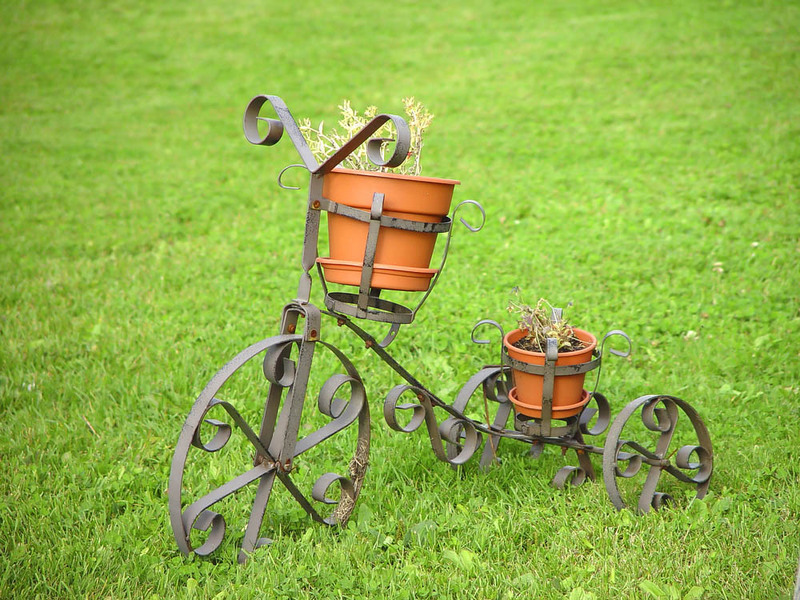 Instead of reusing an old tricycle, this project simply involves placing your planters into a purpose-built tricycle-shaped container garden sculpture. Those wheels might be hard to actually ride on, but they sure look the part. 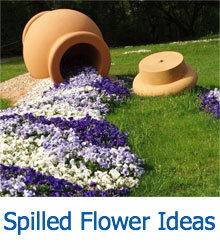 The ornate curves and built-in planter holders make it a worthy garden accessory, upcycled or not. This project can, of course, be completed with any color you like. The one pictured above makes its presence known with a hot pink that’s hard to keep your eyes from. Such a bright and bold color makes a great contrast if you’ve got greenery or more subtly colored flowers to plant. 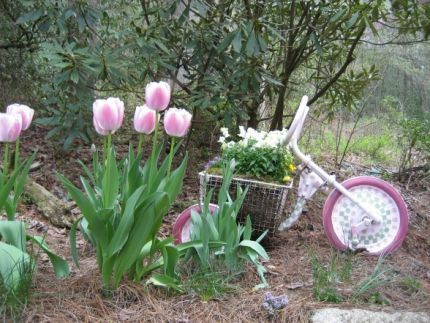 With an assortment of store-bought baskets mounted on the frame, the tricycle becomes a handy, modifiable planter. Here’s another premade purchase, sacrificing that DIY caché for a spectacular look that can’t exactly be found in the real world of tricycles. This black metal sculpture was shaped like one of those old-timey big wheel bikes you see in Sherlock Holmes movies, the kind that seems ten feet tall and scary to ride. It makes for the perfect accompaniment to a set of boldly colored flowers, a sort of Victorian-era container garden display. This fantastic creation was made from an old discarded tricycle that was repainted with an eye-catching pink and white color scheme, supporting a wireframe gym locker basket. The basket means plenty of room for your plants and soil, and the bright colors and fun shape make it an attractive addition anywhere in your garden. Pair it with similarly colored flowers for a style bonus. When most folks think of a tricycle, they picture the kind made for small children, with a big wheel in front. It’s a smaller thing. But we shouldn’t forget that tricycles come in all sorts of sizes, including models like the handy, handsome orange trike above. 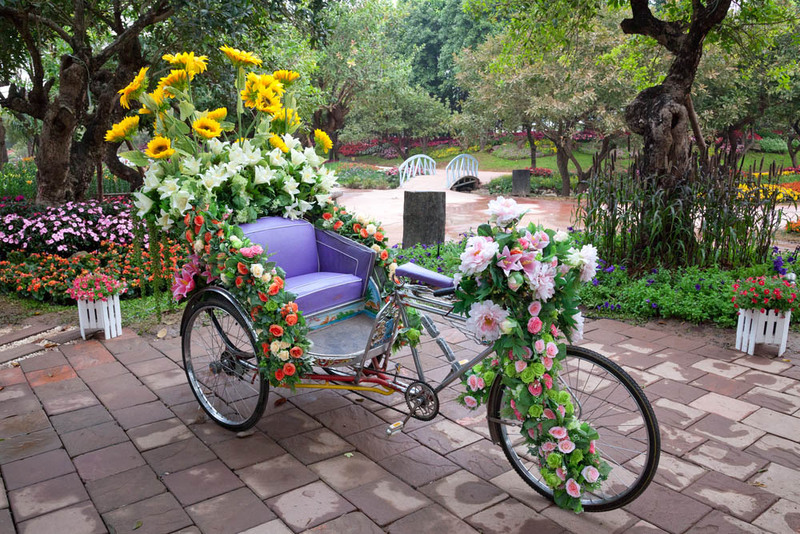 In this case, it’s a fully functioning modern tricycle that happens to be used as a portable container garden. It’s like having a wagon that you can pedal, and it’s an attractive, albeit temporary way to display your plants all summer. 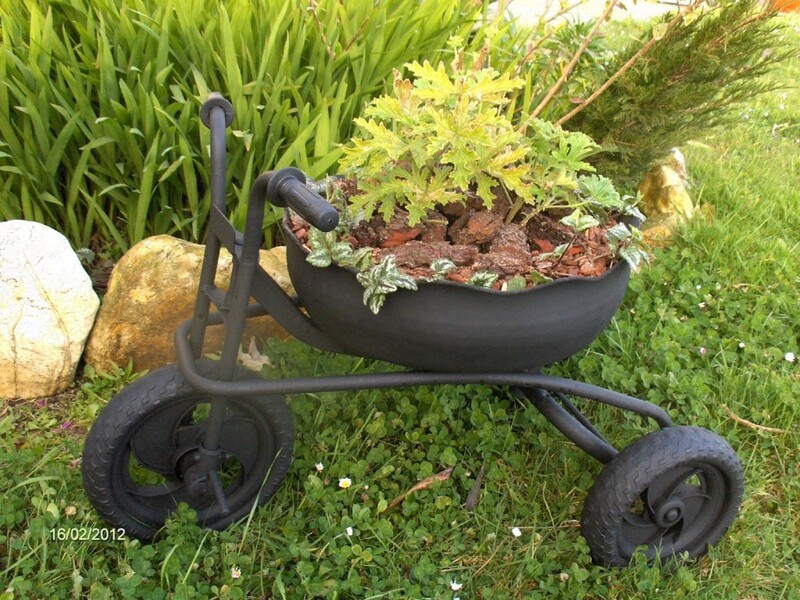 We love the rough and tumble look of this black painted tricycle planter. Its muted frame features matching dark wheels and centers on a massive bowl-shaped container garden. This garden has been neatly filled with lush greenery, sprouting through large wood chips for a uniquely rugged look. We like the dark, unobtrusive look of the tricycle here, calmly making a novel place to plant. As seen above, stuffed with a massive succulent, this rustic styled tricycle sculpture features an accent of woven fibers in all the right places. Spanning the wheels as well as wrapping the container frame, the weaving takes the presentation to the next level. This design is a sculpture rather than an old functioning tricycle, but it justifies its cost with an attractive presence in any garden. Similar to the pink project we showcased above, this bold, bright, and blue model features a nice hand painted coating across the entire frame and wheels for a uniform, attractive look. This one was paired with a bright green seat and matching green basket, completing a handsome, color-coordinated look. If you’re aiming for a project like this, you can start with the cheapest of old tricycles, because it won’t matter what it looks like before you get to it. This might not be something just anyone has lying around the house, but a rickshaw-style tricycle can make an amazing portable container garden. The example pictured is strung with roses and other flowers from top to bottom, making for a striking appearance that probably took quite a bit of work to nail down. The point is, if you’ve got access to something like this, it’s a perfect opportunity to get creative and see where you land. 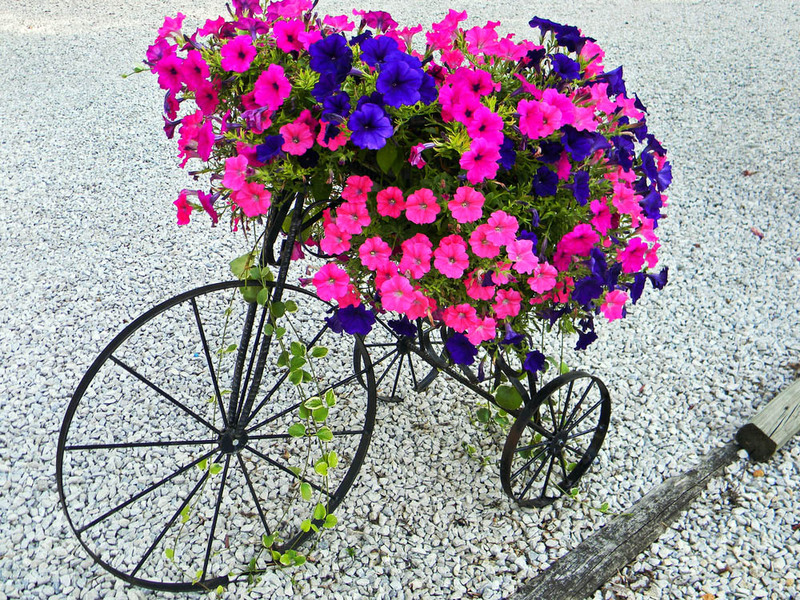 While its proportions make it clear that this wasn’t some old fashioned tricycle you rescued from an antique store or junkyard, it makes a perfect container garden nonetheless. The ample space of its frame means that there’s ample room for multiple planters, running up and over the handlebars. Stood in the middle of your lawn or garden, it’ll make a commanding presence. This rather elaborate tricycle sculpture is perfect for when you’re trying to achieve that elegant, stately look in a garden. The finely detailed metal work in the wheels reflects the delicate flowers that are meant to grow on it, while the trio of baskets provides plenty of space for those flowers to go. The white frames mean that it will allow any flowers to truly pop, unobtrusively adding a layer of beauty and fun. Using a full sized adult tricycle, you’ll be able to have plenty of frame space to hang large baskets, like these rectangular wicker examples. Parked in an open space in your garden or yard, the frame can add a bright piece of contrast to the landscape, especially if you give it a fresh coat of paint. 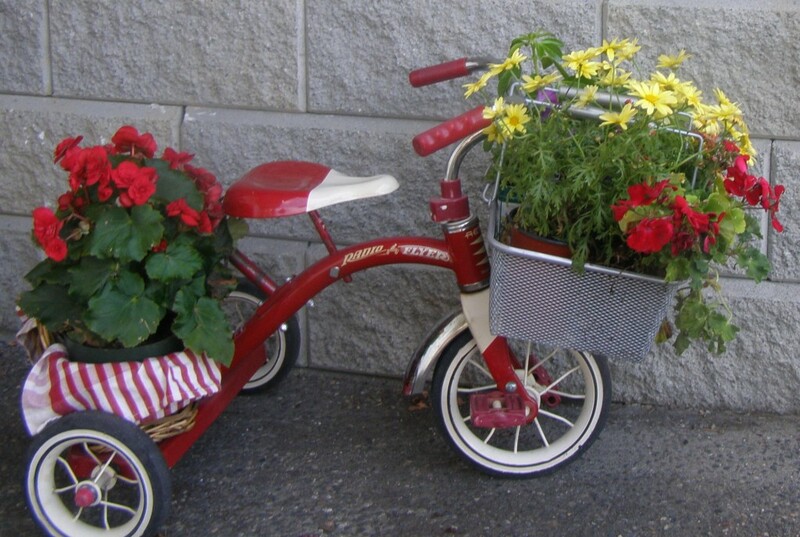 Hang any basket you like on the tricycle, and you’ll already have a fantastic, attention-grabbing container garden. 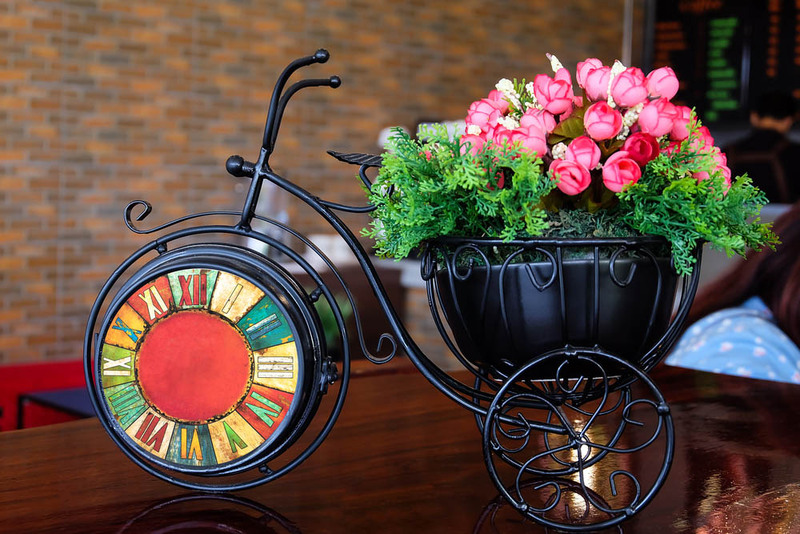 This gorgeous tabletop container garden is a fine piece of handcrafted metal in the shape of an old fashioned tricycle, but it’s clearly not going anywhere fast. The small size means that, while nobody is going for a ride, it’s able to add a dose of flowery beauty to any horizontal surface in your home. We love the idea of setting this handsome planter up on a hallway table, a countertop, or even at the center of a large dining room table. 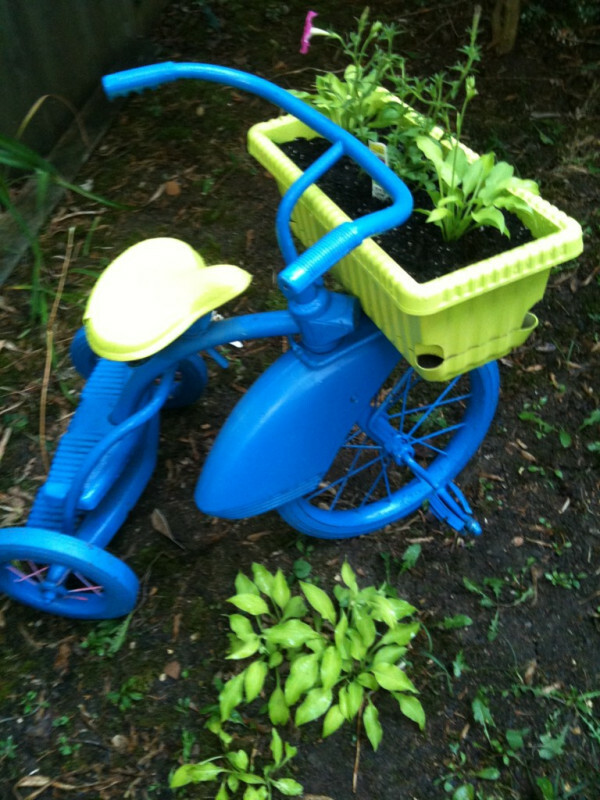 We hope you enjoyed our selection of fun and unique tricycle planter ideas and maybe felt inspired to craft one of your own. With how simple it is to restore an old tricycle, there’s no reason to hold off. 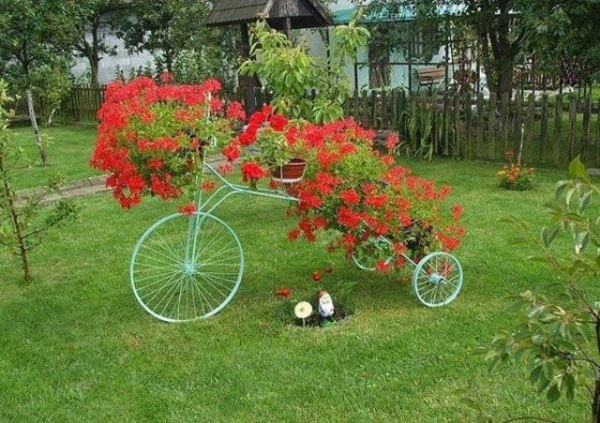 If you don’t want to put in the work, there are a number of great pre-built tricycle sculptures ready for your garden.